"Bangor by the Sea" delivered to Tenx9 Open House Festival Bangor Event on Friday 10 August 2018. As someone born and bred in Bangor the beach and our bay is something I have many memories of. Whether it’s the closing down sale at Barry’s Amusements and my sister holding onto the Panda ride with grim death after mistakenly being told by our Uncle Alan she could have it, or watching people jump from the Pier in the summer sun whilst tins of Tennents were drank and music belted out from new fangled technology known as Ghetto Blasters which required an inordinate amount of D size batteries, enough perhaps to power a scooter nowadays! Bangor Bay is a place where I have many great memories. Sailing around the bay on one of Lairds Boats was a pleasure I only enjoyed once, heading to visit Jenny Watts cave without lifejackets, of course, and returning empty handed without any of the treasure that apparently lies at the end of the cave. 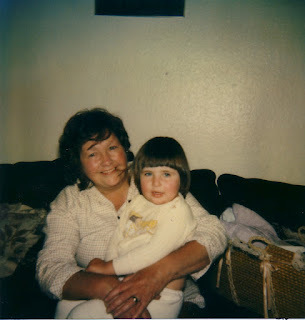 Swimming in Pickie Pool was not something I ever had the fortune, or misfortune, to experience unlike others with only one close shave after my grandfather decided to take me to Pickie after finding out the heated pool at Bangor Castle Leisure Centre was closed. The sense of elation I felt after discovering Pickie was also closed for the evening is still something I can recall! Pickie has now been demolished to make way for the Council’s grand seafront development plan with the appearance of a marina, playpark, mini train and a fountain, which often spurts bubbles with a little help of some washing up liquid. Ards and North Down Alliance Councillor Gavin Walker and myself have urged people from across Ards and North Down to come out for change and support the Belfast Pride Parade which will take place this year on Saturday 4 August 2018 at 1pm from Custom House Square. Speaking in advance of the Parade, Councillor Walker stated “Northern Ireland has thankfully travelled a long way since the decriminalisation of homosexuality in 1982 towards a much more modern, open, inclusive and accepting society. Lots has been achieved through the steadfast commitment of many courageous LGBT people but much more change needs to occur. That’s why I am calling upon people across our Borough to support the Pride Festival and Parade on Saturday which is aptly themed this year as ‘Come out for Change’. 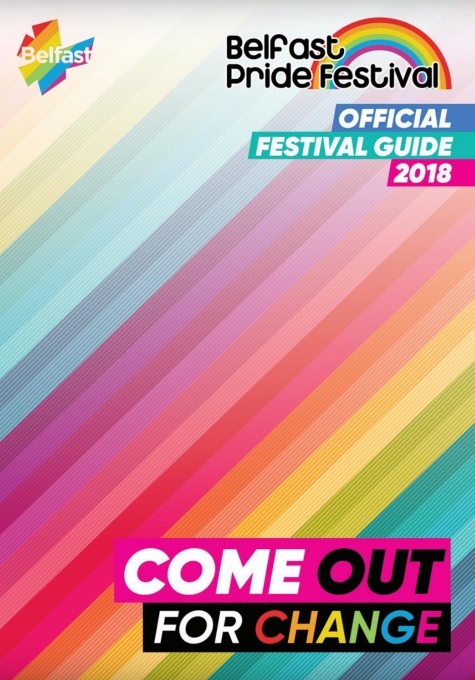 Together we can make Belfast Pride Parade the biggest ever, showing our collective commitment to celebrate diversity and demand equality for all lesbian, gay, bisexual and trans citizens”. As the campaign for change builds I have been humbled and delighted to see more and more people like Councillor Walker coming out for change proving that Northern Ireland has changed, for good. 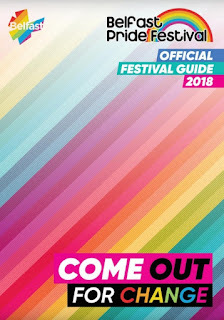 In addition to making our call for people to attend Pride we have also submitted a positive proposal which will be considered by Ards and North Down Borough Council in September calling for the Council to affirm that all lesbian, gay, bisexual and trans people should be accepted and valued as equal citizens and asking officers to explore potential events to fulfil this pledge. We hope all other Councillors will be able to get behind our motion and stand together in solidarity in support of LGBT people. Motion tabled and to be debated at Council Corporate Committee on 11 September 2018: Proposed by Councillor Muir and seconded by Councillor Walker: “That this Council acknowledged the positive contribution that diversity brings to our communities and accordingly affirms that all lesbian, gay, bisexual and trans people living, working or visiting our Borough should be accepted and valued as equal citizens as part of a safe, welcoming and inclusive society. Council consequently requests that officers explore how we can positively fulfil this pledge including via suitable events.